Don't have a green thumb? Not to worry, allow The Gilded Lily to care for your interior plantscaping needs. Serving both residential and business clients, we select, install and care for your live plants throughout the year. Need to create a more graceful setting? 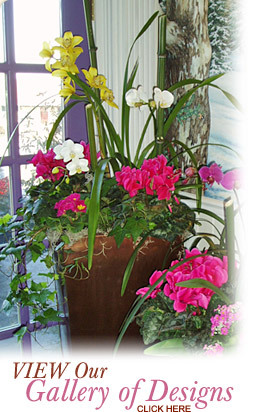 The Gilded Lily offers a full selection of large, tropical plants for rent. Choose from majestic palms, lush ferns and an assortment of trees. All plant rentals are presented in color coordinated baskets and are both delivered and picked up. 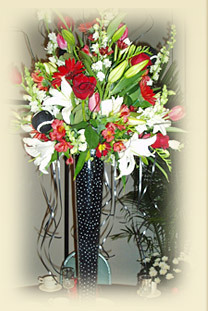 Imagine how fresh cut flowers can brighten your home or office! The Gilded Lily creates fragrant, colorful arrangements delivered to your door approximately twice a month. Call today for details on this special program.